Our law clients range from the smallest library without any full-time librarian to the largest global law firms. The flexibility of 247lib.com gives our users best of breed solutions even though they may be using the solution in different ways. Multilingual - global practices in different countries can view web pages in their own language. Integration with content and knowledge management systems. Search facilities include both document content and bibliographic records so that users can perform 'quick searches' in a style similar to Google. 'See and See Also' allows the translation of terms into equivalent terms in other languages as well as local language. Quick cataloguing using Z39.50 connectivity to the British Library, Moscow Library or the Library of Congress is seen as hugely labour-saving by some clients. Producing tailored OPACs for access by legal staff allows good branding to raise the profile of your organisation. Support desk is highly rated by our legal clients as being responsive and knowledgeable. 247lib.com is written by the experienced development team at ANS. 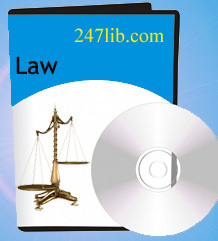 ANS is the author of software used exclusively by the legal professional as well as 247lib.com. This includes case management systems, the ANS BundleMaker (for creating bundles) and specialist software for asylum and immigration. Please call us if you would like some more information about these systems.